Subsequently re-emerging as part of a mammoth box set of Coltrane’s four night residency at the famous New York Club this one really split the critical crowd when it was released. In hindsight Coltrane’s explorations, over lengthy tunes, seem relatively benign in comparison with what was to follow, not only from the man himself, but also a whole sub-genre of avant-garde and free improvisation which may well have been prompted by these music endeavors. The critical response at the time was extremely negative in parts, which perhaps says more about the music writing establishment of the early 60s than it does about ‘Trane. Three performances were selected for this initial release from the four nights of recordings. The standard, by Sigmund Romberg and Oscar Hammerstein II “Softly as in Morning Sunrise”, plus a second entitled “Spiritual”, possibly an adaptation of the traditional “Nobody Knows de Trouble I See”. The third selection, the sixteen minute trio blues “Chasin’ the Trane”, has been described as one of the most important recordings in jazz combining free jazz, jamming, and neoclassicism. In it’s own right this release stands out as one of the most refreshing jazz recordings of all time. Even over 50 years later it still has the capacity to shock the listener. When put in the context of all of four nights it becomes a fascinating exploration of a musician looking for new avenues of expression. Coltrane indicates that he was following the lead of Sun Ra horn player John Gilmore when developing this music and its worth while tracking down contemporary material from Gilmore to hear the comparison. An essential listen for anyone who wants to understand the impact of Coltrane on the world of jazz. In the early 1960s the contemporaries to this album, Albert Ayler, John Coltrane, Cecil Taylor and Ornette Coleman, were reinventing jazz in their own inimitable way, usually more brutal, often spiritual, and sometimes political. Giuffre’s approach to the music came from a totally different perspective than his peers. This is an album of considered, introspective, and often gentle music. It could be described as “freely improvised chamber jazz”. This album has been cited as one of the most revolutionary recordings to come out of the 1960s. It was largely ignored when it was first released, hindsight reveals it to be a ground-breaking masterpiece. Giuffre created a “microtonal” revolution ignored by other avant-gardists in jazz at the time. On “Free Fall”, Giuffre, Paul Bley, and Steve Swallow embarked on a voyage even farther-reaching than their previous albums , reaching a creative peak with this recording. The new approach was delivered through “pointillistic” harmony, whereby different musical notes are made in seclusion, rather than in a linear sequence, this is supported by open-toned playing, and phrasing using slight variations; through this method, new platforms for solo or group improvisation are realised. The original album comprised five clarinet solos, two duets for clarinet and bass, and three trio pieces. The CD reissue added five more clarinet solos to the set. This album establishes Giuffre as a master of the idiom of, not only jazz free improvisation, but also as a ground breaking interpreter of musical language. This is language that was originally utilised by the ancient Greeks and, developed in the 19th and 20th Century by the likes of Feldman, Stockhausen and Debussey. Microtonal music has since been adopted by the likes of Wendy Carlos, Aphex Twin and Radiohead, as well as a large school of european free jazz players. Giuffre’s solo clarinet pieces are exercises in layering. Unique phrasing is used to create new sounds. The group interactions intertwine chromatic pointillism between one instrument and the next, without relying on the conventions of harmony, rhythm, or melody. Free Fall was such radical music, no one, was ready for it and the group disbanded shortly after it’s release. The album presents a series of captivating explorations which require concentration but deliver a unique listening experience. Often melancholic, sometimes brisk and startling, the overall feel of the album is both measured and exploratory. 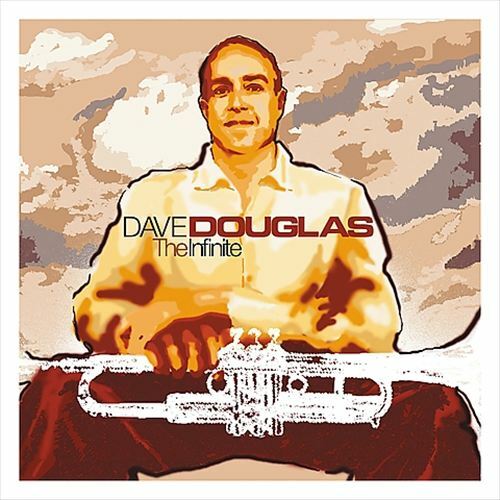 Quietly revolutionary this music was the culmination of the “Third Stream” movement and also paved the way for a younger generation of radicals, especially within the European jazz scene. A historical document of some importance. Ornette uses his original quartet to revisit the sound of the late 50s the gave him his first breakthrough but uses contemporary material. This means the avant garde aspects of the playing is juxtaposed with the extant harmolodic funk approach. This makes for an exceptional clash of styles. 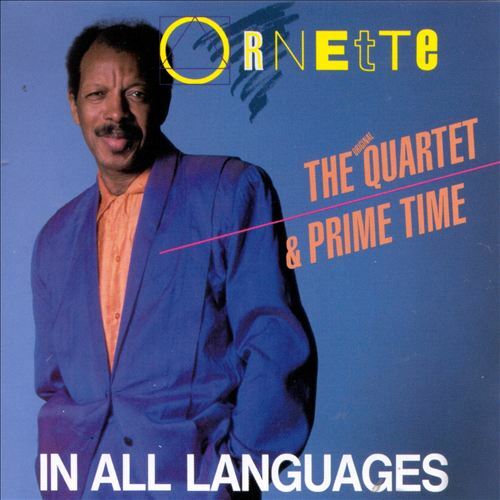 The second half of the release was Ornette’s current “double” band (two drums, two basses, two guitars) playing seven of the compositions that appear on the first half. This allows the listener to see how his approach has developed over the intervening 30 years. The music is kept short and this allows, a rare thing in jazz, the melodies and themes to stand in their own right and also demonstrate the power of Ornette’s writing. The difference between the two discs is clear. The quartet has the space to work together, and apart, and recreate the magical bond that emerged in 1958. Prime Time is denser and convoluted, not surprising given the number of musicians involved, a heady brew of interacting lines and rhythms that create a huge tension. The Quartet playfully caresses your ears whereas Prime Time slaps you around the head and get you up and dancing. As a primer for Ornette this is the perfect album, demonstrating where he came from and where he had got to in the mid 80s. 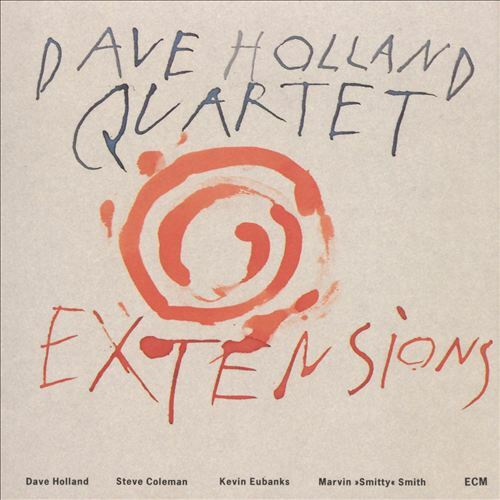 Dave Holland’s eighth album to be released on the ECM label. It features two members of his previous quintet Coleman and Smith alongside Eubanks, in his first appearance on a Holland record. I had the pleasure of seeing the touring band for this album at the Band On The Wall, Manchester when it first came out. A memorable evening. Album of the Year in Downbeat and rightly so. Beautifully recorded by Manfred Eicher the album is packed with exemplary playing, especially by the leader. The interplay between the four musicians is remarkable. It is predominantly post-bop with Holland leading a riff based series of heads. Eubanks demonstrates a wide variety of styles and Coleman is at his very best. Smith provides a powerful engine but also adds deft touches when the individual leads are soloing. The open sound and the rock orientated delivery make this an album worth a visit if you are exploring jazz for the first time.